Oh well, that was before the “dairy and wheat problem” and now I can dream of it, but sipping it is out of the question. But that doesn’t mean I have to forgo Clam Chowder – there is always Manhattan-style that has its own special appeal. Personally, I like it with a bit of a bite from plenty of black pepper, but you can tone it down to your own tastes. 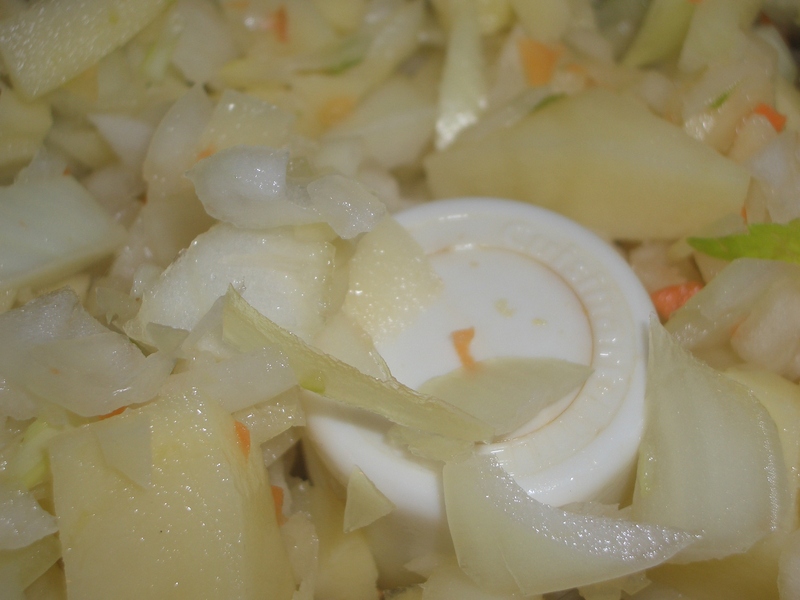 Also, after lots of fooling around with the recipe, I find that chopping all the vegetables fairly finely helps the flavors meld so much better than larger pieces. Of course having a food processor makes this a snap. I make this on a kind of regular basis. It’s only fair to tell you that this is more of a vegetable soup with clams than a clam soup with vegetables. It makes a large batch, but it freezes nicely so you don’t have to worry about what to do with leftovers. The Clams – So I confess that I am a horrible person because all the recipes I saw online from “big name” cooks start out with fresh clams and honestly – that is not something I routinely keep in my pantry or even refrigerator. 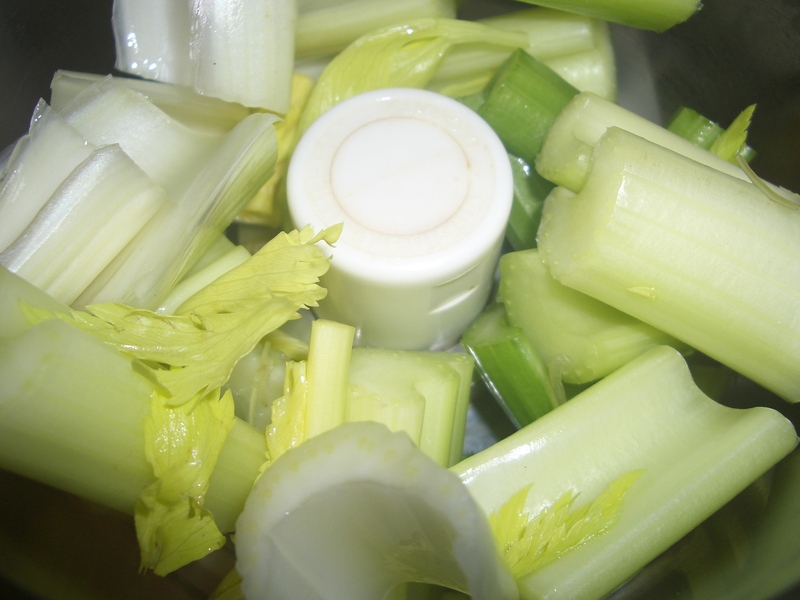 So, I use canned minced clams and if I want to boost the clamminess, I substitute clam broth instead of some of the vegetable or chicken broth. I use waxy (boiling) potatoes because I think they hold together better than baking potatoes. 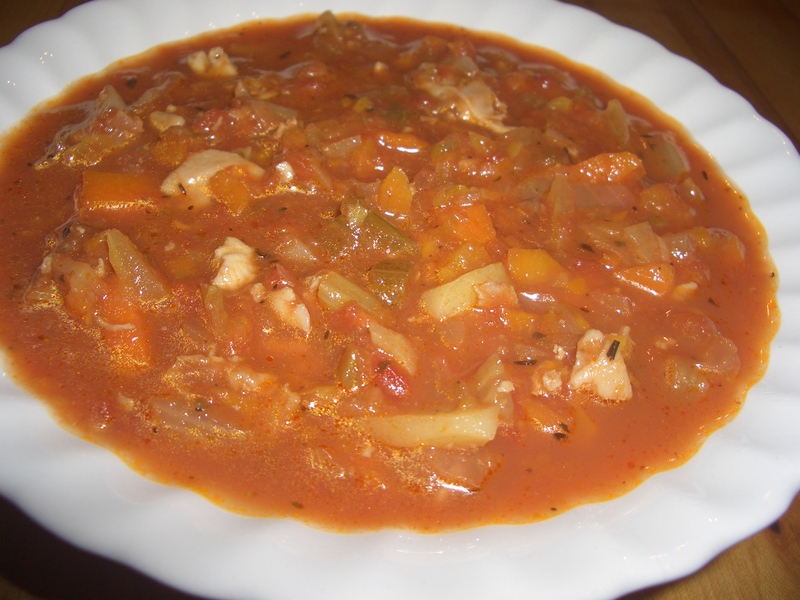 I use 2 kinds of canned tomatoes – crushed and stewed. 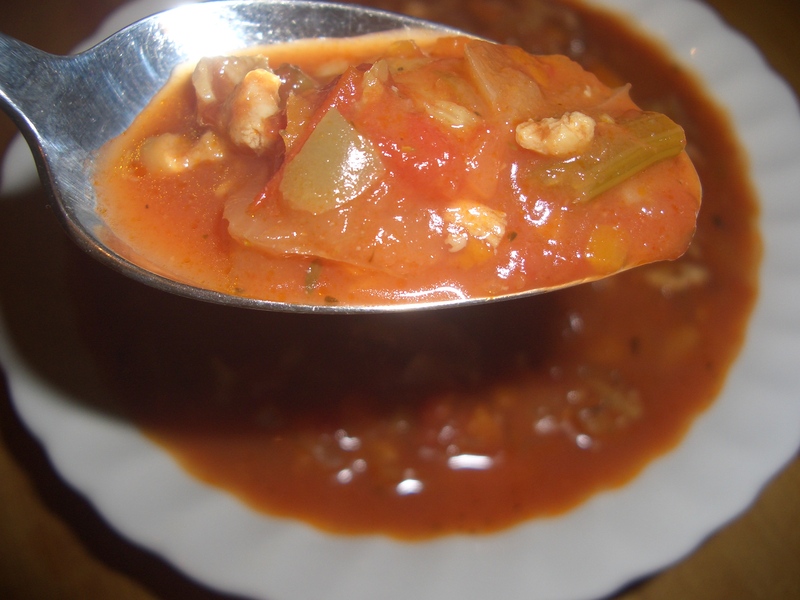 The crushed gives a more intense tomato flavor and the stewed (or you can use diced) gives you the tomato pieces. 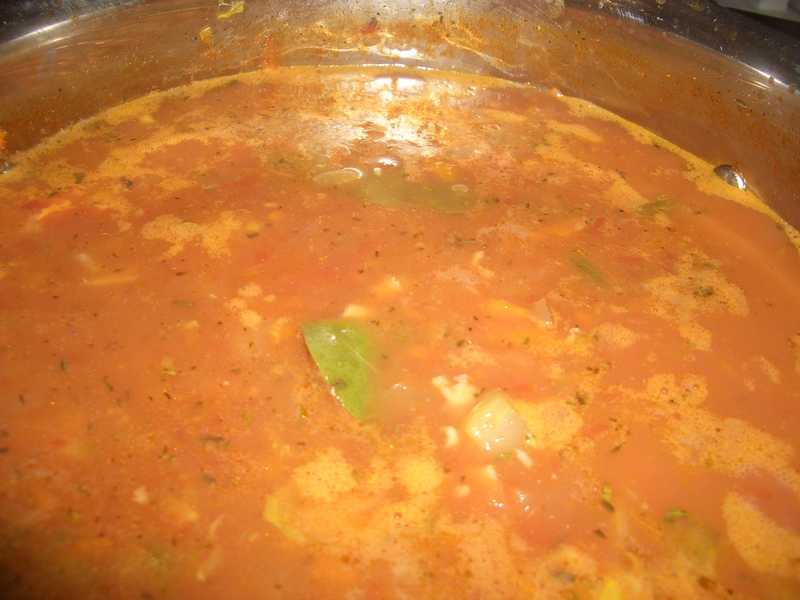 I love this soup because I always have the ingredients on hand so when the weather is particularly nasty and I want soup, I don’t have to go out of the house to buy any ingredients. If you like a little smokiness in your chowder you can either cook up 2 slices of bacon and crumble it (using it as a garnish when you serve the soup), then cook the vegetables in the bacon fat, reducing the olive oil to 2 teaspoons OR you can add a touch of smoked paprika when you add the clams. 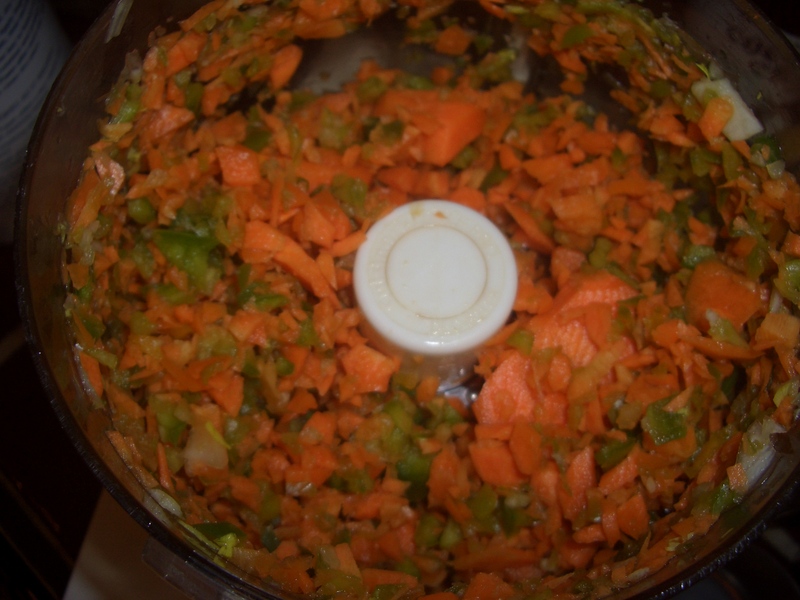 Place the celery, onion, carrot, potato, and bell pepper chunks into a food processor fitted with a steel blade (if your processor is small you may have to do this in batches). 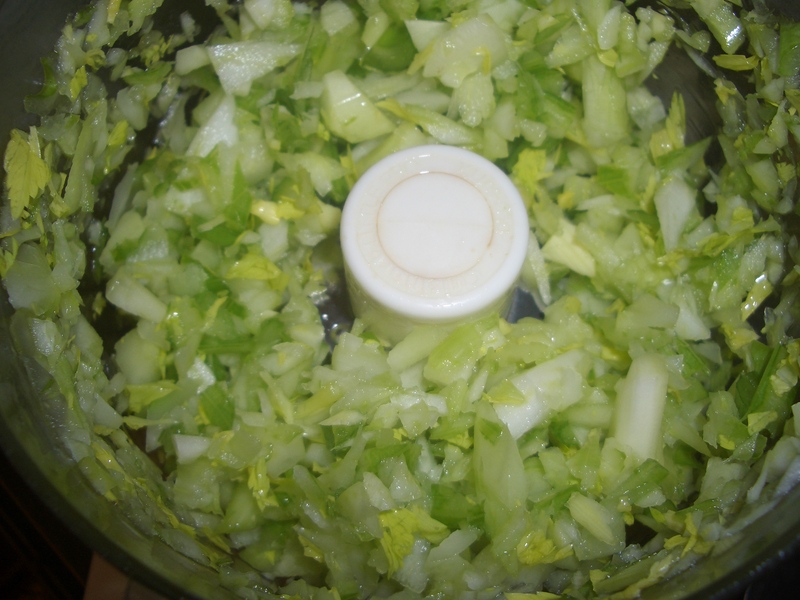 Cover and process, using pulses, until finely chopped (not minced). Heat the oil in a 4-quart saucepan, over medium high heat. 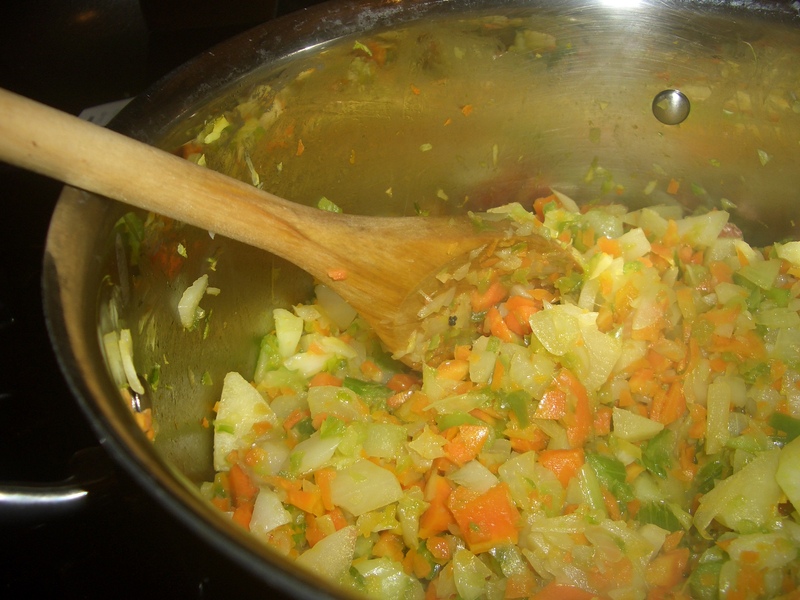 Add the chopped vegetables and cook, stirring until softened. Add the remaining ingredients to the pot. Bring to a boil. 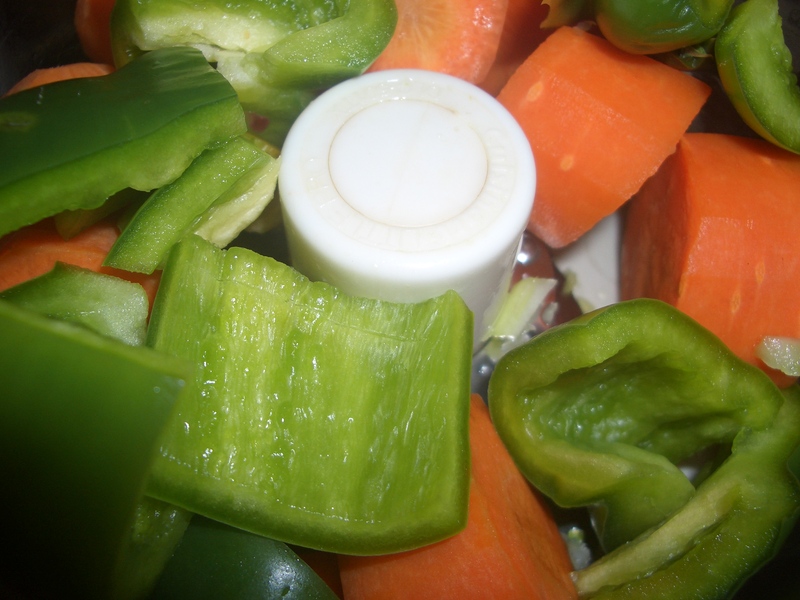 Reduce heat and simmer, uncovered, 25 minutes or until the vegetables are tender. If the vegetables are not tender enough for your taste, cover the pot and simmer 10 minutes longer or until desired softness. Discard bay leaves and season with salt, if desired .